Annika Urm on Nicole King's TV Show "Marbella Now"
Annika Urm gave an interview on Nicole King's TV Show Marbella Now broadcast on RTV Marbella each Friday at 7.30 pm, which unites 127 nationalities calling Marbella home. Marbella Now #85 – The programme will air on the official Marbella Town Hall TV station, RTV Marbella, for the first time this Friday, August 5, at 5.30 pm, Saturday 10.00 am, and Sunday 6.30 pm as fixed times, plus another 12 times during that weekend and the following week. The show should also be available on-line by the following Monday here. 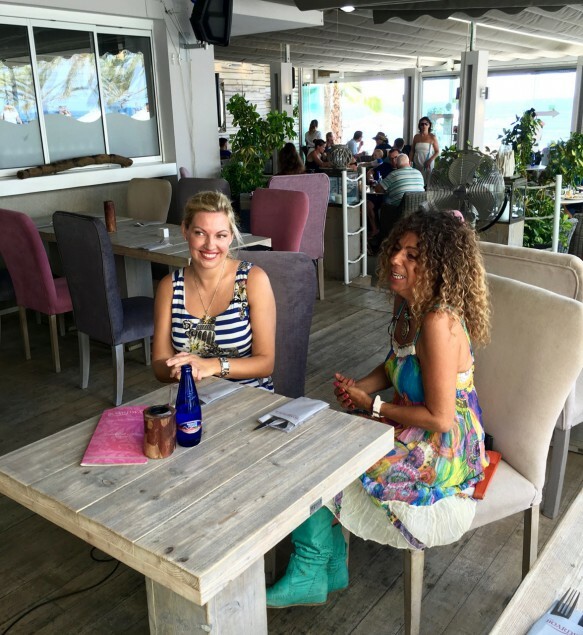 This dynamic lifestyle show travels around Marbella and gets to know the people that make Marbella what it is. Nicole King meets the people that make up the city of Marbella, from different countries, cultures, and economic backgrounds… discovering the charities, associations, organisations, and businesses with an insight to the property, entertainment, restaurants, and cultural places to visit, as well as advice on the legal and administrative ramifications of living abroad. This week, Nicole King gets to know better Annika Urm, who has an amazing reputation in Marbella, being everywhere and covering most importants events in Marbella, meeting all the celebrities personally. Annika runs the most important and well-known social online magazine in Marbella www.i-marbella.com. 1. How do you keep up with Marbella life? Annika was very open-minded to say that she has to drink ginger drink to keep up with Marbella life, it is difficult. On the other hand, it is also pleasure, providing a lot of experience and memorable moments. 2. How does it feel to meet celebrities all the time? Annika said backstage is like real life. There are people who are very nice, positive, humble and humane. But there are also people who are fake, artifical, and irogant, who you would never like to meet again. Annika also said she is from Estonia and lives half year there and half year in Marbella. Online business is great as you can manage it all over the world, wherever you are. i-Marbella is an online magazine that is 9 years old already. It is available in three langueses: English, Spanish, and Russian. Our main objective is updating news daily (both from the Costa del Sol and international), providing event information, and uploading picture galleries from the most important events on the Costa del Sol. i-Marbella enjoys a total of 3,000-6,000 visitors a day, and a total of 80,000-115,000 unique monthly users, with news feed exposure to over 100,000 Facebook, Twitter, Instagram users. Annika Urm's aspires to be an ambassdor for Marbella all over the wolrd. One can read i-Marbella anywhere you are, and, googling for Marbella, you will end up at www.i-marbella.com. Annika Urm has been supporting Marbella charities as well as art, culture, and healtcare for around 8-9 years. Annika also pointed out that this is not a money-making business like a hotel, nightclub, beachclub, or restaurant in Marbella. This business is like charity, getting image and fame. "Why else do celebrities from all around the world keep coming here, with tourists following them?" "This is pure passion when you work the first three years for free. Special thanks to Ocean Clinic, La Sala Group, and Puente Romano Beach Resort and Spa. Thank you, i-Marbella constant supporters!" Nicole King's TV Show "Marbella Now" broadcast on RTV Marbella each Friday at 7.30 pm, which unites 127 nationalities calling Marbella home. Every week, Nicole King TV Show meets the most colourful and varied personalities that make up the city of Marbella, giving the world an opportunity to meet people who care about each other and appreciate how lucky they are to be living in this unique 5-star city. If you love Marbella like Nicole King TV Show does or want to get to know it, please tune in every Friday at 7.30 pm (GMT+1) on RTV Marbella, or WATCH IT LIVE ONLINE.